Our 2018 World Haiku Poetry Contest Winners List! Works published or forthcoming in: "Frogpond", "The Temple Bell Stops:Contemporary poems of grief, loss & change. ", "Fire Pearls 2", "Kamesan's World Haiku Anthology on War, Violence and Human Rights Violation"
Works published or forthcoming in: "Mayfly Magazine", "Frogpond", "Moonbathing", Atlas poetica", "Anthology of Walking Haiku" "Montage: The Book", "Lyrical Passion Poetry E-Zine" and other Anthologies. 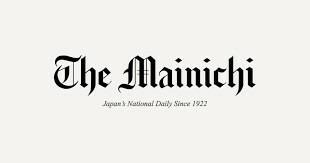 Works published or forthcoming in: "Mainichi Daily News", "Mayfly" issue #48 cover, "Notes from the Gean" issue #4, "Moonbathing" issue #2, "Frogpond", "Wisteria", "Miscellany Haiku Ludbreg, (Croatia)", "Bewildering Stories","Atlas Poetica", "Chrysanthemum", "Long Story Short", "The Heron's Nest", "2010 Kaji Aso Haiku Contest", Honorable Mention, "Mayfly" and Going Down Swinging - Issue #30 and Lyrical Passion Poetry E-zine. "World Haiku Review"; "The Nor' Easter"; "Haiku Creatrix" - Issue #6., 2009-2010Snapshot Press Haiku Calendar ; "The Smoking Poet", "The Aurorean", "Modern Haiku", "Mayfly" issue #47, "Ribbons", "Long Story Short". Visit these awesome website links for writers! Please take a while to peruse through our pages. Please visit our "Interviews and Special Features" section of our website. For 2018, we invited the talented Alexis Rotella to share her love of Japanese short form poetry with our readers. Her body of work is inspiring and enlightening. There's so much more to explore so stay a while. If you enjoy your experience here at Lyrical Passion Poetry E-zine, nominate us for the Writer’s Digest’s “101 Best Websites for Writers” (another online source of free information for writers). Please add “101 Best Websites” in the subject line of your email. Our mission here at Lyrical Passion Poetry E-Zine is to strengthen the ties in this literary community while educating & entertaining poetry lovers and writers; worldwide. The quality of our work here can only be as great and impressionable as the content that you send to us. Lyrical Passion Poetry E-zine is designed to give novice and award winning writers the opportunity to share their craft. We provide a platform for writers of any background, at any point in their literary careers, to showcase their best writing. We are planting our seeds and letting their roots grow. We know that what we do today, impacts our tomorrow. We look forward to becoming the highest paying literary publication for Japanese short form poetry. It is high time that haiku writers receive rewards of high distinction. Haiku is poetry, haiku is literature. P.S. Did you know that the month of February is NaHaiWriMo!?! What's that? It's National Haiku Writing Month. Makes sense, the shortest month in the year to celebrate short, yet brilliant poetry. So celebrate! Write a haiku poem today! Writers interested in submitting haiku, haiga, senryu, kyoka, haibun, cinquain, tan renga or tanka poetry, are encouraged to familiarize themselves as much as possible with the poetic art form and its history by reading contemporary literary journals that publish haiku, tanka and other historical content. Haiku poems are not simply words on a page that follow the 5-7-5 format. It is more dynamic than that. We encourage you to visit other great websites such as Modern Haiku, Frogpond, Atlas Poetica, Magnapoets, Chrysanthemum, Modern English Tanka and The Heron's Nest. You can also browse our website and click on our pictures to see where they take you! If you are registered with Duotrope's Digest, please don't forget to report the acceptances/rejections you receive from Lyrical Passion Poetry E-Zine. All haiku and tanka poems published in Lyrical Passion Poetry E-Zine each year will automatically qualify our annual "Best of the Best" Poetry Award for Japanese short form poetry (Haiku & Tanka categories). Winners will be announced at the start of each new year. The prize will be $50.00 US. We will be updating the postal address for 2018. Also please read our updated: Guidelines. Our writing contests help to increase the confidence of each and every winning writer and highlight current achievements especially in Japanese short form poetry; this difficult yet remarkable literary art form. As we journey through the new year, we are looking for new writers. Some of our prize winning writers include, Andre Surridge, Paul Smith, Christopher Hayes, James Tipton, Sandra Simpson, Catherine J.S. Lee, Marek Kozubek, Ernest J. Berry, Claire Everett and Kathy L. Cobb. We would especially like to thank our contributing writers who donate their winnings to a charity of your choice. Upon your request, Lyrical Passion Poetry E-Zine will donate your cash winnings to better the lives of those less fortunate. Each time you donate, your name will be published on this page for the world to see your contributions. Thank you to: Marek Kozubek (2) , Elizabeth Crocket (1) for your donations to Women for Women International. I am grateful for the wealth of knowledge & guidance I have received from great editors and haiku poets like Ferris Gilli, Lenard D. Moore & Michael D. Welch. Lyrical Passion Poetry E-Zine acquires first rights and electronic rights for all works published. Rights revert back to the author upon publication. Please include first publication acknowledgments to Lyrical Passion Poetry E-Zine in subsequent publications. If we decide to print hard copies of your work, you will be notified and we will request reprint rights.